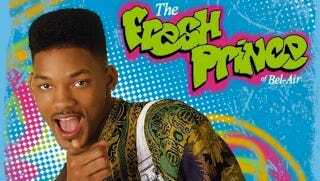 Police said a worker calling to confirm a doctor's appointment with an Ambridge High School student heard the theme song to the "Fresh Prince of Bel-Air" when she attempted to call. The worker said she called police when she misheard the lyrics — which she claimed said "shooting people outside of school." The actual lyrics to the song say "shooting some b-ball outside of school." The call to 911 forced the entire district into lockdown for about 30 minutes and police said they detained the 19-year-old student for three hours while searching his locker, before determining that it was all one big misunderstanding. Oops! Yo, homes, smell ya later!